Philip has been the proud owner of TRIO EVANSTON Salon since it opened in 2000. With 35 years of experience as a colorist, Philip is known for his expertise in balayage and custom color. Whether it be retexturing, relaxing, or permanent waving, Philip can assist guests with a variety of texture treatments as well. Trained at the legendary Vidal Sassoon Salon in Chicago, Philip has become a true artist. Before opening TRIO, Philip worked at the famed Vidal Sassoon Salon as well as the Chicago institution, Maxine Salon. 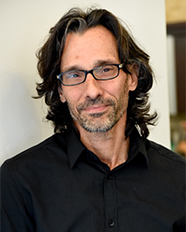 As an industry leader, Philip was a Director of Cosmetology Chicago for almost a decade. Philip knows that ongoing education is key to success and has introduced TRIO EVANSTON as an Atelier.